More than 120 people attended the Annual Volunteer Appreciation Lunch given by the Longmeadow Adult Center at the Twin Hills Country Club. Volunteers are integral to everything the Center accomplishes. They work in the gift shop and the dining room, deliver meals on wheels, drive people to appointments, teach classes, help with the food pantry, provide fix-it help and generally support all the activities of the Center. More volunteers can always find an opportunity to help. 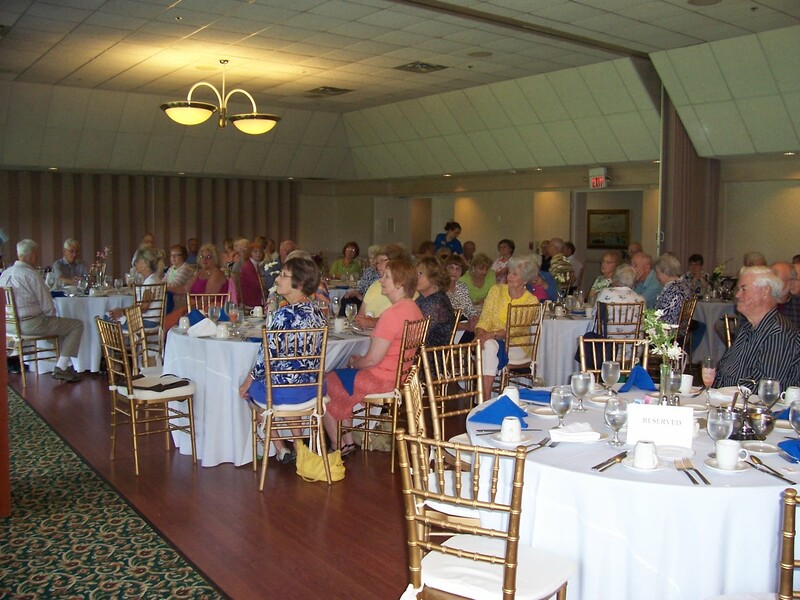 Two volunteers who have given 15 years of service were recognized. 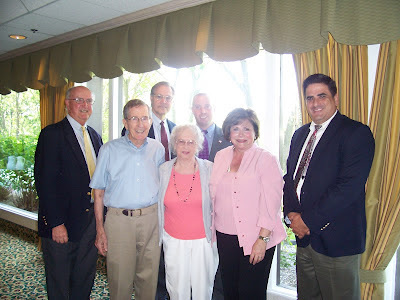 Pictured (l to r) are John Bowen, Chair of the Council on Aging; Joe Flanagan, 15-year volunteer; Mark Gold, Chair of the Select Board; Pauly Sample, 15-year volunteer; Dan Zwirko, Legislative Aide to State Representative Brian Ashe; State Senator Gale Candaras; and Paul Santaniello, Vice Chair of the Select Board.